On Friday 7th February Shaykh Muhammad Umar Al-Qadri was invited by the Belfast Islamic Centre to deliver 2 lectures on Jumah. 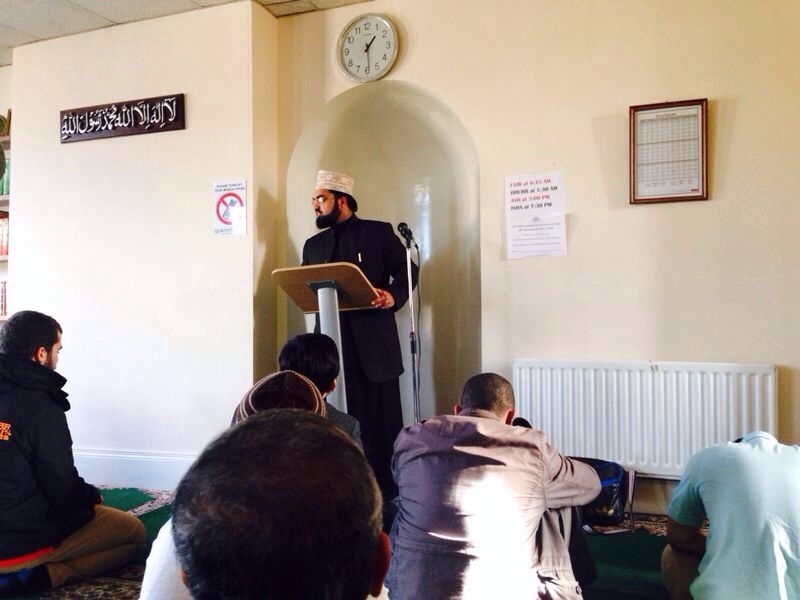 This was the first interaction of the Shaykh with the Muslim Community in Belfast. Belfast Islamic Centre is the largest Mosque in Northern Ireland and was established in 1977. The Mosque caters for the needs of the entire Muslim population in Northern Ireland of 3000 Muslims in Northern Ireland. 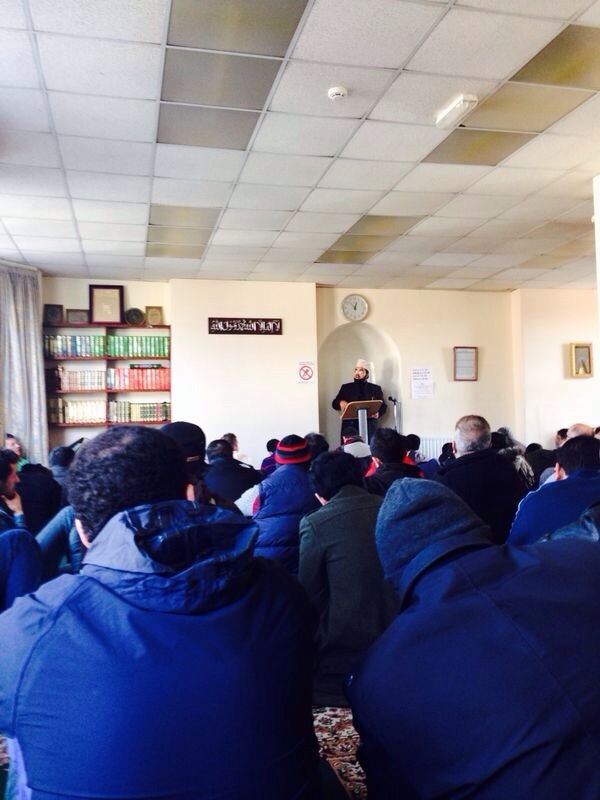 The Shaykh delivered 2 Jumah lectures. 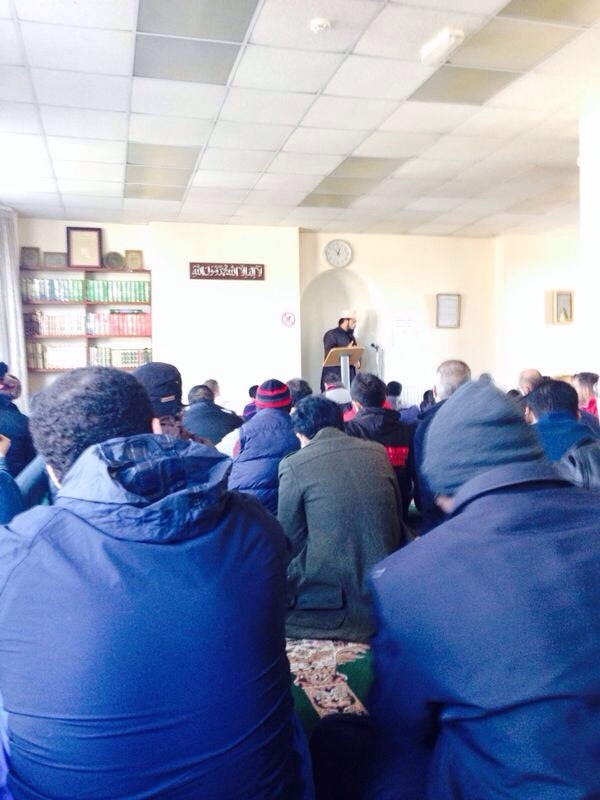 The first lecture was on the importance of adopting Akhlaq e Hasanah (beautiful behaviour and conduct). The second lecture was on the responsibilities of a Muslim in Western countries. Both lectures were highly appreciated by the congregations. In fact the popularity of the lectures was reflected in the high number of attendees the same evening in the Belfast Islamic Centre during the lecture of Shaykh Muhammad Umar on Tafsir of Surah Al-Fateha. Please read the report of the lecture on Tafsir of Surah Al-Fateha in Belfast Islamic Centre here. 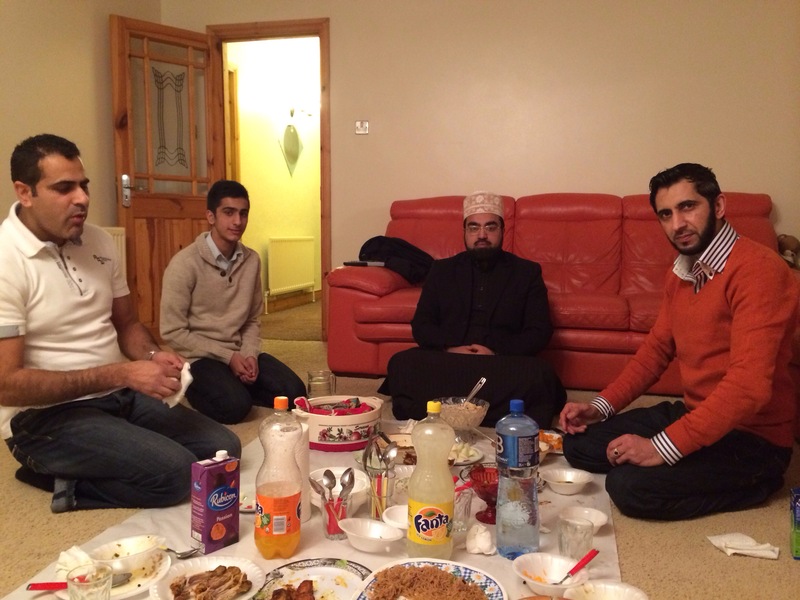 After the lectures the Shaykh met the previous and current management of the Belfast Islamic Centre. The Shaykh congratulated the Management of having a truly diverse Islamic Centre in Northern Ireland. After the Jumah lectures the Shaykh was invited by Brother Ali Khan, executive member of the BIS management, for a dinner in his house.